Did you know a few simple health tips can help reduce your cancer risk and improve your golf game? It’s true, and that’s why I’ve been given a radio show. 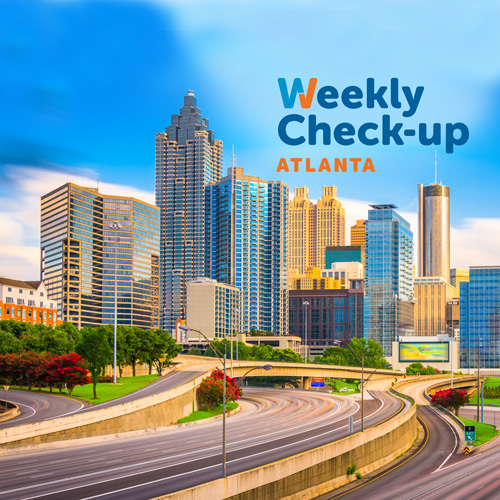 I’m thrilled to announce the inaugural broadcast of The Weekly Check-Up with Dr. Bruce Feinberg—premiering Sunday, June 12, at 3 p.m. on AM 750 and NOW 95.5 FM News/Talk WSB. The program is brought to you by CuringProstateCancer.com. Following in the WSB tradition of providing comprehensive information to entertain, educate, and enlighten, my program will help Georgians separate fact from fiction on the healthcare horizon. I’ll be providing you with the latest healthcare news, from tips on a good diet to major breakthroughs in cancer treatments. Listen in to hear me interview with health and fitness experts, and engage in conversations with knowledgeable parties from all corners of the medical field. It’s my hope that you’ll join the conversation too – I’ll be fielding calls and questions from listeners throughout the show, and via Twitter and Facebook. My aim is to steer you to good health and good living. We’re keeping everything on the table to keep you better informed on how to live a healthy, happy life.